Wilcox, Michael. "Ursulines in Canada". The Canadian Encyclopedia, 21 February 2019, Historica Canada. https://www.thecanadianencyclopedia.ca/en/article/ursulines. Accessed 25 April 2019. The Ursulines are a Roman Catholic female religious order devoted to girls’ education. The order has been in Canada since Ursuline nun Marie de l’Incarnation arrived in New France in 1639. 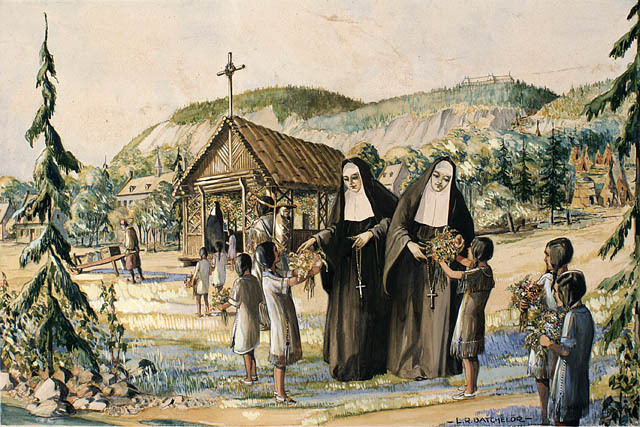 Although initially focused on education and missionary work with Indigenous girls, the Ursulines gradually shifted their vocation toward educating French Canadian girls. With geographic and membership expansion from the 18th to the 20th century, the Ursulines established themselves as a major force in girls’ education, especially in Quebec. The Ursulines opened the first monastery in New France and the first school for girls in North America (see Ursuline Monastery). Named in tribute to Saint Ursula, the Ursulines are a Roman Catholic female religious order devoted to the Catholic education of girls. Saint Angela Merici founded the order in 1535 in Brescia, then part of the Republic of Venice. From the outset, Ursulines exercised an educational role, teaching Christian doctrine to girls and women. By the late 16th century, the order had expanded into what is now Italy and France, a development that contributed to higher numbers of members and allowed for their establishment in other parts of Europe. 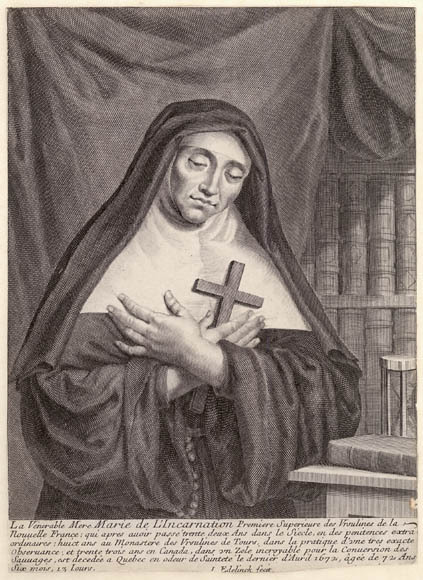 Marie Guyart (1599–1672) joined the congregation in Tours, France, in 1633, and took the name Marie de l’Incarnation. Only six years later, she set off for New France	with two Ursulines — Marie de Saint-Joseph and Cécile de Sainte-Croix — the widowed aristocrat Madame Marie-Madeleine de Chauvigny de La Peltrie (1603–1671) and three Augustinian Sisters. 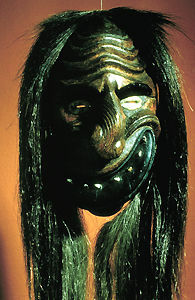 Upon arrival in Quebec City, they established good relations with the Jesuits and set upon their mission to convert Indigenous peoples to Catholicism (see Missions and Missionaries). To achieve this aim, the Ursulines established both a temporary monastery and the École des Ursulines in 1639 (see Ursuline Monastery). With financial support from Madame de La Peltrie, a permanent structure was established, the Séminaire Saint-Joseph, on grounds provided by the Compagnie des Cent-Associés. A permanent monastery building was completed in 1642. The first Ursuline Convent was built in 1642. This retrospective view was painted by Joseph Légaré. (courtesy Ursuline Convent). 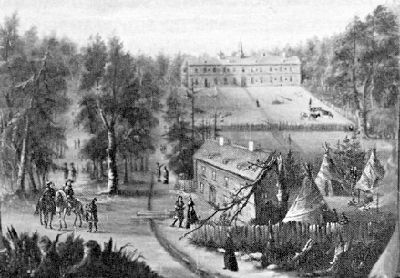 The Ursulines hosted Abenaki, Algonquin, Wendat, Haudenosaunee, Montagnais and Nipissing girls (among others) as boarders, generally between 6 and 16 years of age. Marie de l’Incarnation even learned several Algonquian and Iroquoian languages to help facilitate instruction and expedite Indigenous girls’ assimilation into French religion and culture (see Indigenous Languages in Canada). The Ursulines taught reading, writing, arithmetic and music along with training in domestic work such as sewing and embroidery. Despite the attendance of nearly 20 girls in 1640 and some early indications of conversion (such as baptisms and First Communions), the number of Indigenous girls taught by Ursulines was very low. In fact, historian Marcel Trudel found that only 69 Indigenous girls and 6 girls with one Indigenous and one French parent were taught between 1639 and 1686, compared to 514 French Canadian girls. The Ursulines also provided accommodation for the “Filles du Roi” — unmarried women sponsored by the king to immigrate to New France between 1663 and 1673 — when they first arrived. The number of Ursulines in New France expanded as the order shifted its attention away from missionary work	and toward providing spiritual nourishment and classroom instruction to French Canadian girls. While there were 13 Ursulines in New France by 1656, that number more than doubled by 1686, with two-thirds of the membership now Canadian born. Given their numerical strength and strong reputation, the second Bishop of Quebec, Monseigneur de Saint-Vallier, requested that the Ursulines open a monastery in Trois-Rivières, which was first established in 1697. The number of members rose to approximately 40 in 1700 and about 60 in 1740. After the Conquest of Quebec during the Seven Years War (1756–63), the English authorities continued to allow the French majority to practise their faith. For their part, the Ursulines were able to maintain their institutions, rules and religious exercises. While they faced some restrictions on recruitment and had some difficulty accessing French-language	texts, the number of both Ursulines and students started to climb when these issues were largely overcome by the end of the 18th century. In the 19th century, the Ursulines gradually expanded beyond their base in Quebec/Lower Canada	to different locations across North America. Missionaries were sent to Louisiana, Massachusetts, Texas and Montana. By 1840, the Ursulines were one of only five female religious orders in the colony. With the massive expansion in both male and female orders in mid-19th-century Quebec, the Ursulines lost their virtual monopoly on girls’ education in Quebec City and Trois-Rivières. Nevertheless, the Ursulines opened new monasteries and schools throughout Quebec, including in Roberval (1882), Stanstead (1884) and Rimouski	(1906). 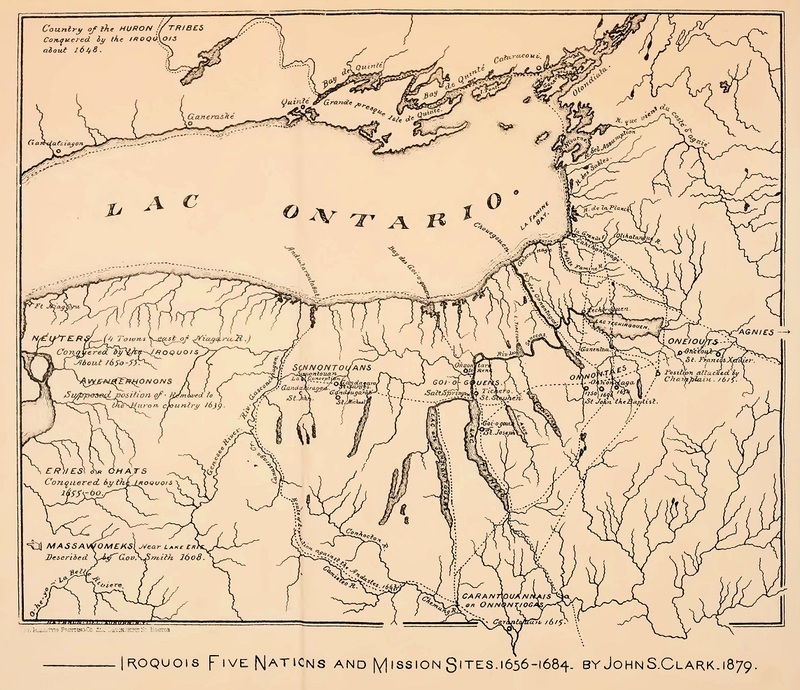 The foundation for expansion in English Canada had already started in Chatham, Canada West	(now Ontario), in 1860. From the late 19th century until the mid-20th century, many more Ursuline communities were opened in cities and small towns from coast to coast. Moreover, Ursulines trained in Canada sometimes went overseas as missionaries, establishing schools affiliated with Canadian monasteries in China, Japan, Peru and the Caribbean. Ursulines in Canada operated independent houses under the exclusive authority of local bishops. However, to help foster unity and provide hierarchical support, three Quebec-based houses joined together in 1931, forming the Congrégation des Ursulines de Québec. This conglomeration expanded in 1953 with the creation of the Union canadienne des Moniales de l’Ordre de Sainte-Ursule (Ursulines of the Canadian Union). The new organization united the Ursuline monasteries of Quebec, Trois-Rivières, Rimouski and Gaspé with their mission counterparts in Japan, followed some years later by other houses in Canada as well as from Peru and the Philippines. Ursulines’ spirituality was designed to praise God and bring the community closer to Jesus and salvation. To achieve that end, members followed their rules and regulations, attended mass and received communion regularly, prayed, conducted spiritual readings and attended lectures. Like other religious orders in the Catholic faith, Ursulines took vows of poverty, chastity and obedience as a means to achieve salvation. Given their educational vocation, a fourth vow of teaching was included. While teaching subjects varied by era and region, it regularly consisted of religious instruction and emphasized preparing girls for Christian marriage and motherhood. Religious formation went hand in hand with academic instruction. In the 18th century, the Ursulines taught reading, grammar, writing, arithmetic, orthography, religious history, various forms of needlework, manners, painting and singing. 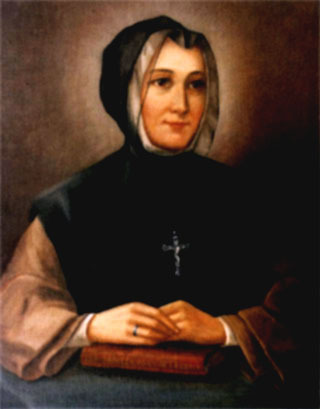 Among their most famous students in this period was Marie-Marguerite d’Youville, founder of the Sisters of Charity of Montréal (commonly referred to as the Grey Nuns) and the first Canadian-born saint in the Catholic Church. 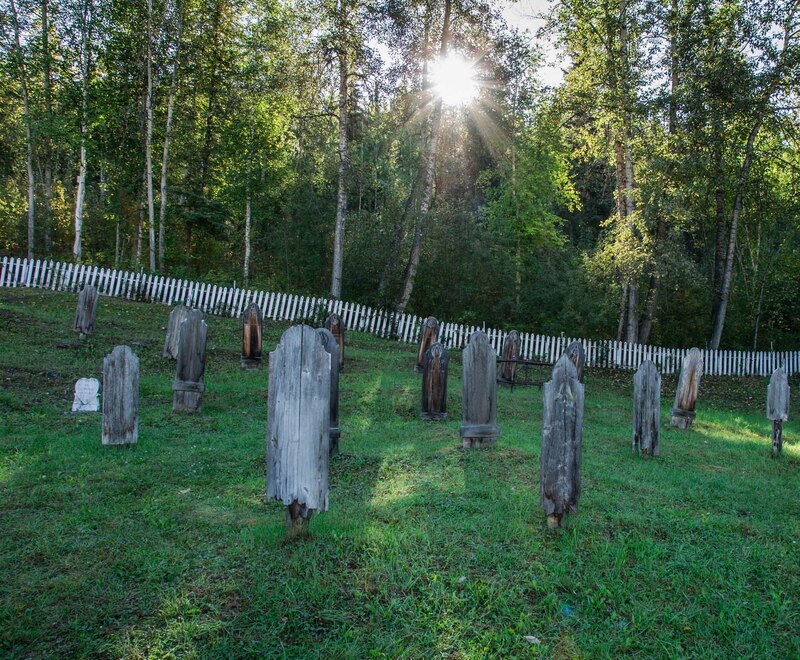 By the 19th century, the Ursulines in Quebec provided an education that rivalled Catholic educators around the world. Their curriculum had expanded to include arithmetic, English and French grammar, rhetoric, ancient, modern and sacred history, geography, astronomy, physics, botany, chemistry, vocal music, a wide variety of instrumental music, drawing classes and an assortment of domestic arts. The Ursulines were highly renowned for their adaptability to their surroundings. In Canada, their curriculum reflected variable social and economic conditions. In late-19th-century Quebec, for instance, they introduced their students to stenography, dactylography and telegraphy to suit the changing economic prospects for girls. The Ursulines founded many famous institutions, including the École des Ursulines (1639) and Académie Sainte-Ursule (1854) in Quebec City. In higher education, they established the liberal arts based Ursuline College (1919) as Canada’s only institution of higher learning for women, now called Brescia University and affiliated with Western University. To help prepare and train teachers for their educational endeavours, they established the Laval Normal School in their monastery in 1857 and another in Rimouski in 1906 (see Normal Schools). Like many Catholic religious orders in Canada, the Ursulines have experienced a steady decline in vocations and an exodus of members since the dramatic social changes of the 1960s. During the Second Vatican Council (1962–65), members were tasked with figuring out how to adapt to the contemporary world. Ensuing changes included the elimination of members’ religious names and abandonment of the religious habit. The Quiet Revolution was a time of rapid change experienced in Quebec during the 1960s. Its emphasis on secularization and modernization further impacted the Ursulines. Universities replaced normal schools in the preparation of future teachers and many Ursuline schools were closed or privatized to make room for provincially run schools. While much fewer in numbers, current members continue to be engaged in educational endeavours. Some offer religious instruction and sacrament preparation in parishes, others provide leadership during spiritual retreats, and others still teach English	or French to new immigrants. Ursulines in Canada are also involved in the promotion of social justice	and environmental sustainability. The Ursulines have provided educational options for Canadian girls, especially in Quebec, since 1639. They opened the first monastery in New France	and the first school for girls in North America (see Ursuline Monastery). As they expanded across the country, their service in elementary, secondary and post-secondary institutions helped to provide educational options for girls and assisted with the building up and sustaining of Catholic schools (see Separate School). M. Reidy, The First Ursuline: The Story of Angela Merici (1961).